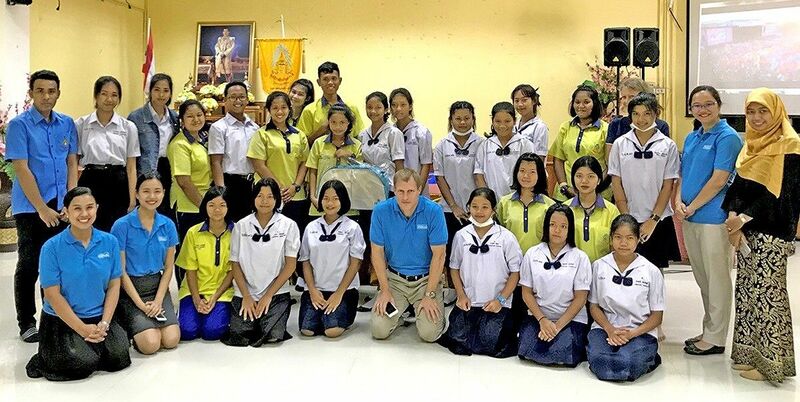 Markus Kosch, general manager of Hilton Phuket Arcadia Resort & Spa, together with hotel management teams, recently visited a local school in Kamala to assist with English lessons for the day whilst providing sponsorship for the school valued at 100,000 baht. The donation was made to the Phuket Has Been Good To Us Foundation in May 2018 in order to support the organisation in hiring English teachers for the school. Learning English in Thailand has become mandatory for students as the hospitality industry is the now the biggest industry in Thailand, especially for young people living in Phuket. The Hilton Phuket Arcadia Resort & Spa team say they had a wonderful day and described how honored they were to be able to help the young, bright students practice an important skill – the English language. The hotel plans to visit the schools and help with the student’s English lessons every month.